The STV 298 plan offers 1GB daily data, unlimited free calling and 100 SMS per day for 54 days even in Mumbai and Delhi circle. 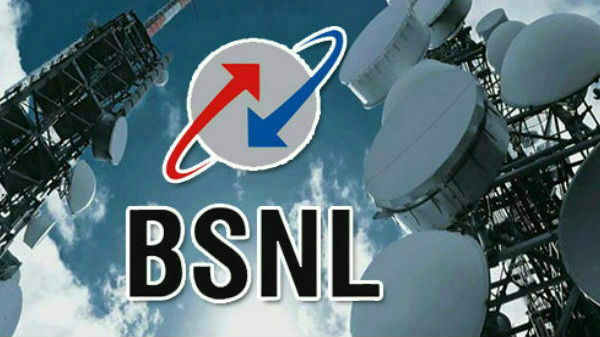 The State-run telecom operator Bharat Sanchar Nigam Limited (BSNL) has once again joined hands with Eros Now for content, Telecomtalk reported. Under this partnership, BSNL is providing Eros now benefits to its prepaid customers at Rs.78. Besides the operator offers 3GB data per day along with unlimited calling benefits for eight days. According to a report, BSNL is also offering Eros Now benefits with Rs. 98 in which the company is giving 2GB data per day for 24 days instead of 1.5GB data earlier. In addition, there are plans for Rs. 298, Rs. 333 and Rs. 444. Meanwhile, BSNL has launched tariff vouchers for Wi-Fi hotspots in which the company has listed four plans of Rs.19, Rs. 59 Rs. 59 and Rs. 69. Under Rs. 19 the company is providing 2GB of data for a period of two days. The Rs. 39 offers 7GB data for seven days. while Rs. 59 plans are providing 15GB data for a period of 15 days and lastly, Rs.69 plan is providing 30GB data for 69 days. For those who are not aware, BSNL selected Hughes Communications India, Limited ('Hughes India') to enable satellite broadband connectivity in Andaman and Nicobar Islands and Lakshadweep. The project addresses growing bandwidth demand in these island regions located beyond the reach of terrestrial technology. With Hughes India, BSNL plans to expand satellite bandwidth in Andaman and Nicobar to 400 times the current capacity in two years and has already augmented available bandwidth in the island region from 240 Mbps to 1 Gbps. As part of the solution, Hughes India supplied BSNL with satellite terminals and modems for voice, data, and video communications as well as high-speed satellite backhaul capacity to extend network coverage in the region.